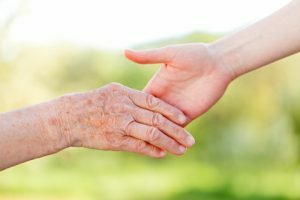 In our last blog, we talked about indicators that an elderly person can no longer maintain his or her own quality of life. At the end of the day, everyone wants their parents to live the best lives as possible, and caring for both your parents and family can take a profound toll on you. At All Care at Home, we have dedicated ourselves to helping you shoulder the load. We can do anything from acting as handyman to notarizing documents and providing daily companion care. In today’s blog, we want to share a few more signs that your loved on can’t keep living like they are. You’ll notice that your loved one let things go around the house. It may be clutter, dirty dishes, overflowing trash cans, dirty laundry, or a neglected litter box. It means that normal life activities are starting to get beyond your loved one’s reach. If you’ve been taking the time to carry these burdens, contact us. We can visit their home and clean, organize, and do laundry, all while honoring your loved one’s dignity. Is your loved one losing or gaining weight? They may have trouble fixing meals (or forgetting to do so) and skip them for a while before trying to feed themselves again. During your next visit, check out the kitchen. If you find food that has expired or is very stale or spoiled, something is up. You may also find that they have an exorbitant amount of one type of food, like more crackers than they could ever consume. We can eliminate the issue by cooking meals and doing the shopping! Providing your loved ones with the care they need is the best way to access peace of mind. Let us help. Contact us for home care in Colorado Springs!